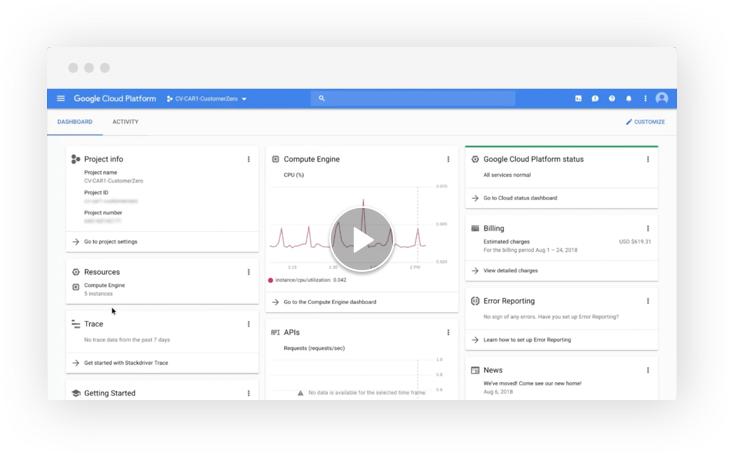 A Google Cloud integrated file service with the performance, availability, and security required to efficiently run your business-critical applications. Cloud-native storage that eliminates the need to refactor your applications‘ data planes. Solve your applications’ availability, protection, and data management problems – instantly. Simple, flexible, and automated storage for application development tools. Persistent storage for stateful microservices in Kubernetes. datasets natively in Google Cloud. A global healthcare company’s immediate business initiative was to move their enterprise applications to Google Cloud. These applications required NFS & SMB interfaces and could not be re-architected. 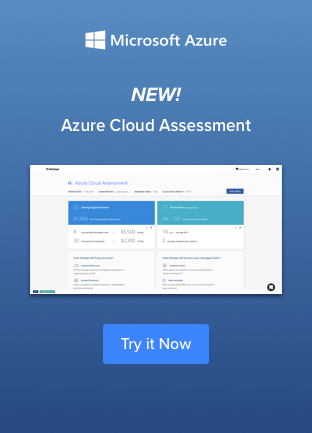 Cloud Volumes Service gave the company’s application teams an easy way to provision NFS & SMB shares with the high performance and availability required. Additional capabilities, like snapshots and rapid copies allowed them to protect and gain value from their data sets. Moved multiple enterprise applications to Google Cloud 10X faster than expected. Improved application user experience and application reliability. Simplified operations through NetApp’s fully managed service. more cost-effectively on Google Cloud. A major manufacturing company was struggling with their cloud-first initiative, which involved migrating their custom built Windows based application to Google Cloud requiring shared SMB endpoints. Cloud Volumes Service for Google Cloud was the only SMB capable file service that could give them a simple path to build out a hybrid infrastructure that could deliver a high-performance file share to support their Windows-based application with low latency. Simple and fast deployment of high-performance SMB service. Reduce data sprawl with built-in data protection without adding cloud capacity. I just created a Cloud Volume on a plane, from my iPhone. 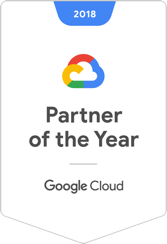 Having NetApp Cloud Volumes Service for Google Cloud means our application teams don’t need to be storage experts; this has been a huge win for us! 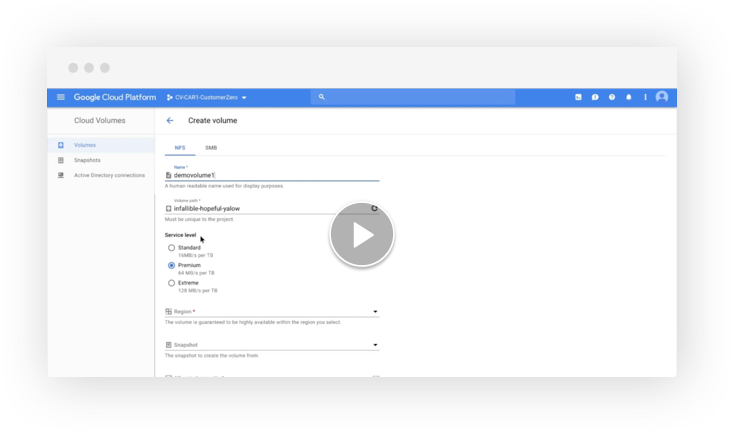 NetApp Cloud Volumes Service for Google Cloud is so simple to use; it’s perfect and feels just like a part of Google Cloud. Choose the performance level that best suits your application requirements without having to move your data.